Drug laws in Georgia are harsh, even for seemingly minor offenses. You may be facing mandatory prison sentences and potentially thousands of dollars in fines, as well as loss of employment and damage to your reputation. While possession of small amounts of marijuana is a misdemeanor, most other drug charges are felonies, which come with serious repercussions. And while the First Offender Act in our state allows for leniency for some facing their first drug offense, not everyone will be eligible.An experienced attorney can help you navigate the legal consequences of drug charges. 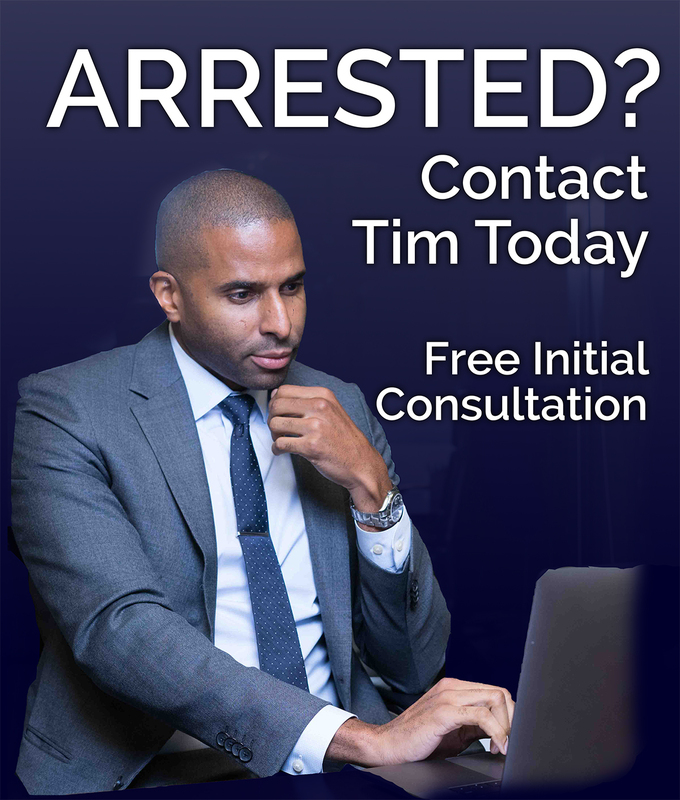 I am Timothy McCalep, and I work to provide a firm defense against drug crimes charges in Atlanta and the surrounding areas. Regardless of the crime, I work diligently on my clients’ behalf, so that their rights are protected and respected. As a seasoned drug offenses lawyer, I take a thorough approach to every case and situation, examining even the most minute details, to ensure that we are engaged in a comprehensive legal defense. My goals are always to reduce my clients’ charges or have them dismissed, and I look for any potential weaknesses in the case against you. 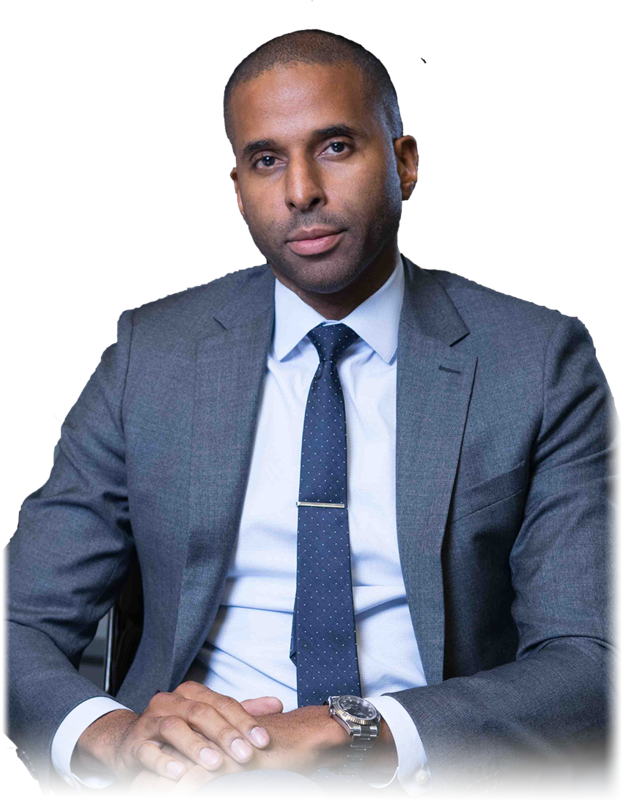 With significant trial experience, I am always ready to step into court, and I am eager to provide my clients with the ability to prove their innocence. Schedule I: Drugs with a high potential for abuse and no accepted medical use. Examples: Heroin, LSD, THC, and ecstasy. A person in possession of any drug within this schedule is guilty of a felony. If found in violation of the law, a person can be punished with 2-15 years in prison. For any subsequent convictions, an individual can be subjected to up to 30 years in prison. Schedule II: Drugs with a high potential for abuse and the potential for psychological or physical dependence that have accepted medical uses under severe restriction. Examples: Methamphetamine, Cocaine, Percocet, and Codeine. A person in possession of any drug within this schedule is guilty of a felony. Schedule III:Drugs with a lower chance of abuse, low or moderate potential for psychological or physical dependence and an accepted medical use. Examples: Ketamine and Steroids. A person in possession of any drug within this schedule is guilty of a felony. If found in violation of the law, a person can be punished with 1-5 years in prison. For any subsequent convictions, an individual can be subjected to up to 10 years in prison. Schedule IV:Drugs with a lower chance of abuse, limited potential for psychological or physical dependence, and an acceptable medical use. Examples: Xanax and Valium. A person in possession of any drug within this schedule is guilty of a felony. Schedule V: Drugs with the lowest potential for abuse, limited potential for dependence, and accepted medical use. Examples: Cough medicine. A person in possession of any drug within this schedule is guilty of a felony. If you or someone you know is suffering from a substance abuse problem, get help as soon as possible. Georgia has some harsh drug laws that will most certainly alter your life if you are found in possession of any illegal drug. Be smart! Call Timothy McCalep and let me fight vigorously on your behalf. Drug trafficking is a very serious offense, and therefore the charge carries a mandatory minimum prison sentence. Because the judge’s hands are usually tied in this instance, you need an experienced attorney who can negotiate your fate with the prosecuting attorney. You need an attorney who understands the Georgia laws and someone who has an established relationship with the District Attorney’s Office. If the quantity of such substances involved is 28 grams or more, the person shall be sentenced to a mandatory minimum term of imprisonment of 25 years and shall pay a fine of $500,000. If the quantity of methamphetamine, amphetamine, or a mixture containing either substance involved is 400 grams or more, the person shall be sentenced to a mandatory minimum term of imprisonment of 25 years and shall pay a fine of $1 million. Trafficking is a weighted offense. An attorney can assist in identifying the legal issues and potential constitutional violations involved in your case. Being shipped off to prison is not the only way to resolve a drug trafficking case. Call Timothy McCalep so you can discuss alternative dispositions of your case. Possession and intent are both essential elements for a manufacturing drug case. It is unlawful for any person to manufacture, deliver, distribute, dispense, administer, sell, or possess with intent to distribute any controlled substance. The penalties for drug manufacturing charges vary depending on the type of drug in question. If you are caught manufacturing a controlled substance in Schedule I or Schedule II, you will be charged with a felony offense and face a range from five to 30 years in prison. If you are caught manufacturing a controlled substance in Schedule III, Schedule IV, or Schedule V, you will be charged with a felony offense and face a range from one to 10 years in prison. Being found guilty of manufacturing any drug is a punishment that you will endure for the remainder of your life. Convicted felon is a title that follows you for the remainder of your days. Allow Timothy McCalep to advocate on your behalf. Don’t simply take a plea. Hire me. Your life is depending on it. I Had A Small Amount Of Drugs On Me, How Can They Charge Me With Intent To Distribute? Generally if the amount of drugs found on a person exceeds a certain weight that is classified as more than enough for personal use, he or she can be charged with possession of the drug with the intent to distribute it to others. Often times, individuals are found with a minimal amount of drugs within their possession, but at the time of their arrest, law enforcement officers find other drug paraphernalia, such as scales or ziplock baggies. The presence of such items tip officers off to the belief that a person is not only in possession of the drugs for personal use, but he or she is also selling the drugs to others. Under Georgia law, if a person possesses with the intent to distribute, sells, or manufactures a controlled substance, he or she faces a sentence of five years to 30 years in prison for the first conviction. If a person is convicted on a subsequent offense, he or she faces a 10 years to 40 years in prison. Remember, the judge is control of your fate and sentences can be based on any prior criminal convictions you have already have. For more information about drug crimes and how Timothy McCalep can help you fight your case, please contact my office for a free consultation. What Is A Drug Conspiracy? A conspiracy occurs when two or more individuals make an agreement to commit a crime. Whether the crime is actually committed is irrelevant to the conspiracy because once the agreement is made, coupled with some action toward the commission of the crime, the crime of conspiracy is committed. Georgia laws make it illegal to possess, manufacture, and/ or distribute controlled substances, and therefore conspiring to commit those offenses is also illegal and punishable under the law. According to Georgia law, O.C.G.A. § 16-4-8, a person convicted of the offense of criminal conspiracy to commit a felony shall be punished by imprisonment for at least than one year, but no more than one-half the maximum period of time for which he or she could have been sentenced if he or she had been convicted of the crime he or she conspired to commit, by one-half the maximum fine to which he or she could have been subjected to if he or she had been convicted of such crime, or both imprisonment and a fine. Therefore punishment varies depending on the crime you conspired to commit, the type of drug involved, and the weight amount of such drug. What Should I Do If Charged? Timothy McCalep’s experience may be beneficial in negating the prosecutor’s case against your and disproving the elements of the crime(s) for which you are charged. Simply because you are accused of drug conspiracy di not mean you are defenseless. Allow me to review the facts of your case and the alleged proof against you. Together, we can defend the allegations against you. Drug paraphernalia refers to any equipment or tool used to produce, conceal, and consume any controlled substance. The list of drug paraphernalia items include, but is not limited to pipes, bongs, water pipes, roach clips, cigarette papers, and cocaine freebase kits. Some times drug paraphernalia can take the form of your household produces. Often times, paraphernalia can be bought legally for purposes of consuming tobacco products. Despite the source of the drug paraphernalia, do not be fooled-possession of drug paraphernalia in the state of Georgia is illegal. It is unlawful for any person to use, or possess with the intent to use, any object or materials of any kind for the purpose of planting, propagating, cultivating, growing, harvesting, manufacturing, compounding, converting, producing, processing, preparing, testing, analyzing, packaging, repackaging, storing, containing, concealing, injecting, ingesting, inhaling, or otherwise introducing into the human body marijuana or a controlled substance. What Are The Penalties For Possessing Drug Paraphernalia? Any person or corporation who violates this law will be guilty of a misdemeanor offense. Sentences for simple possession of paraphernalia are much light than those sentences for manufacturing or distributing drug paraphernalia. Because possession of drug paraphernalia is a misdemeanor offense, you could possibly send up to 12 months in jail and be subjected to a fine. Drug paraphernalia laws can be confusing to understand. Whether an item is to be considered paraphernalia is still largely up to interpretation by the law enforcement officer seizing the item. Further, a prosecutor need not specifically show you were in actual possession of the drug paraphernalia, but proving you constructively possessed the item will suffice in the case against you. However, I am here to help you maneuver through the case against you. Once you contact me, we can go over your case and discuss the other options you may have, such as a probated sentence or a pre-trial diversion program. Together, we can make the case go away. Contact me to find out how. To schedule a consultation with me and learn more about how I can help your case, call me at 404-988-5809 or use the contact form.